Last week I spent two days along with some other leaders from my church at Willow Creek’s Global Leadership Summit (full disclosure: my wife actually works for the GLS). As usual the conference was full of top-notch speakers and cutting edge leadership and vision discussions, and it was awesome to take a bunch of folks from my church and have them hear such great speakers. However, with where I’m at in my life personally, the GLS brought up some interesting tensions. Most of the speakers (Christian and otherwise) talked over and over again about having huge dreams, and how important these big dreams are to the world. The particular challenge that I have in my life—and one that I have to continually come to terms with—is how damaging “big dreams” actually are to my life. You see, if you were susceptible at all (like I am) to the ravages of pride and self-centeredness, then big dreams are actually the worst possible things that you can entertain. When I allow big dreams to enter my life without some kind of balance, interior wreckage and disaster and seems. In other words, big dreams can be an absolute disaster in my life. And yet, this is where so much of Christian culture seems to be nowadays. I think one speaker even said something like if we leave something undone in the world, then God will never get it done. To my thinking this is outrageous. Whenever I hear really really good people talking about grandiose visions and making some kind of huge impact in the world, I think about Richard Rohr’s comments about how the United States professes to be such a thriving Christian culture and yet we are at least as addicted and obsessive as everyone else in the world; maybe moreso. Anybody in recovery would tell you that pride and self-centeredness are foundational “sins” that fuel our addictive and compulsive behaviors. Can the church actually be contributing to this addiction and compulsion? Don’t get me wrong, I took lots and lots of notes last Thursday and Friday. I love learning new things. My voracious curiosity is a huge part of who I am. But I can only take these new ideas seriously to a certain degree in my life before they start getting unhealthy. 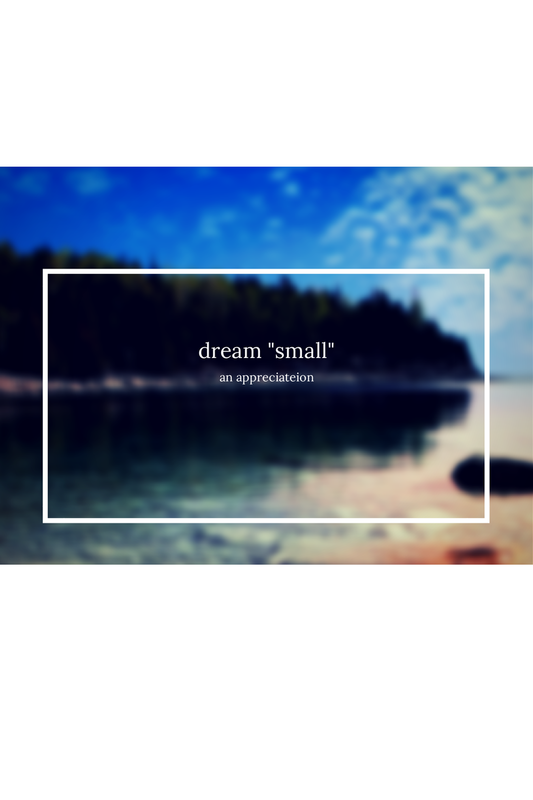 To be blunt, I actually think that what the church needs is people who dream small dreams. People who want the kingdom inside their hearts to be ruled by God, rather then doing some amazing outward work of ministry. I think truly transformed and enlightened individuals who have dreamed the small dream of simply, “Change me, Lord,” can make a drastic difference in our schools church, churches, and neighborhoods. How do you organize a conference around that? Put the career on hold, and focus on the work. After all, I think God has the big things covered. This entry was posted in faith, leadership, personal and tagged GLS, humility, leadership, pride, willow creek. Bookmark the permalink. This was a very powerful and insightful blog post. Eric put words to what I felt as I traveled through the GLS 2014 as well. I love the perspective. I love how he reframes the conversation. Thanks Eric.